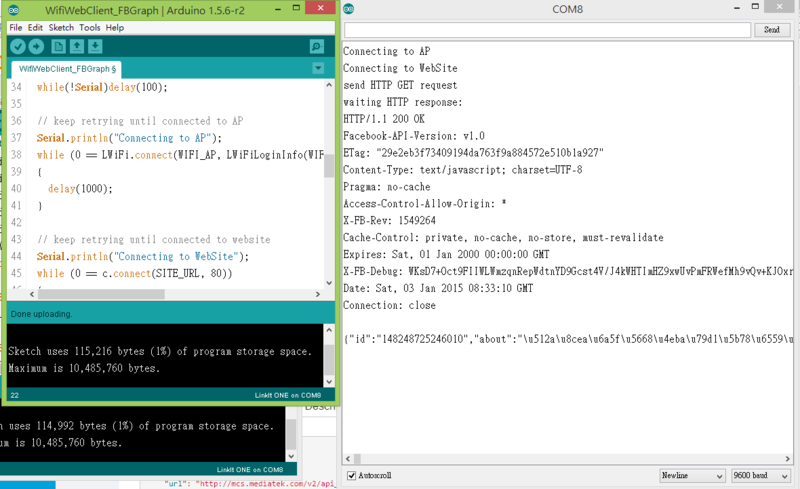 using Wi-Fi functionality on MediaTek LinkIt platform. Change the macro WIFI_AP, WIFI_PASSWORD, WIFI_AUTH and SITE_URL accordingly. #define WIFI_PASSWORD "YYY"  //WIFI PWD#define WIFI_AUTH LWIFI_WPA  // choose from LWIFI_OPEN, LWIFI_WPA, or LWIFI_WEP. #define SITE_URL "graph.facebook.com"  // note that "caveeducation" is part of the HTTP request rather than host name. 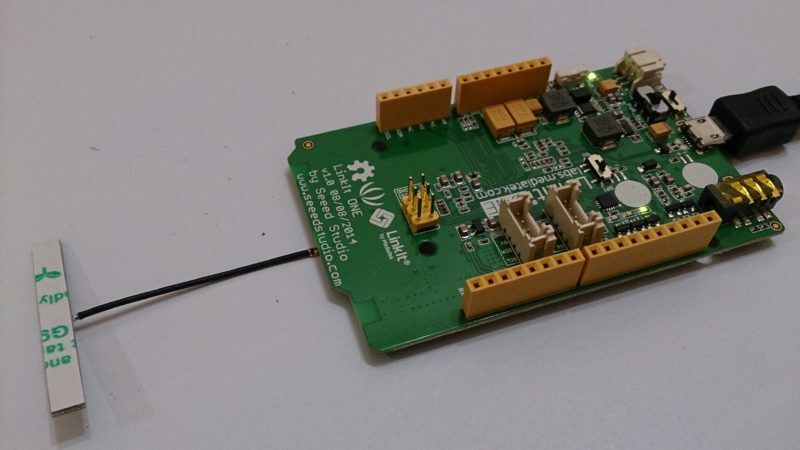 This entry was posted in Arduino嵌入式開發板, 聯發科LinkIt家族 and tagged linkit one, 物聯網, 程式教學.